Clean the shrimps and keep it aside. 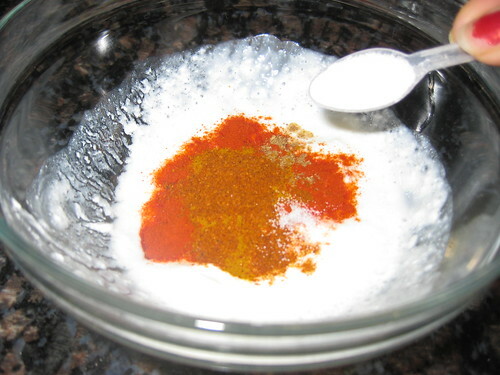 Take a mixing bowl add yogurt,chilli powder,turmeric powder,ginger-garlic paste,garam masal powder,tandoori masala,lime juice,food color,mustard oil mix together. 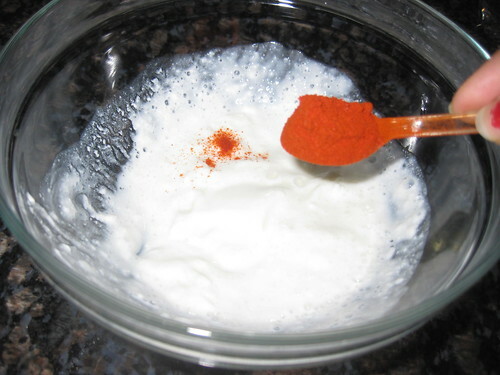 Add shrimp to the yogurt mixture and marinate for 4 hours or overnight. 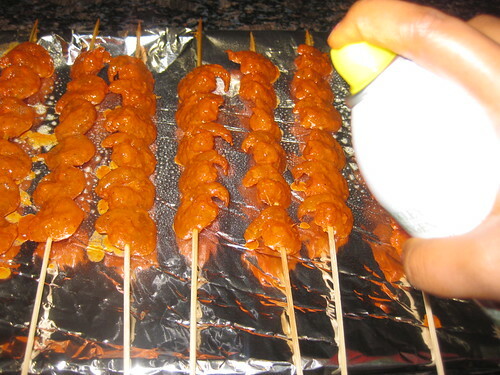 Thread the shrimp onto 6 skewers.Drizzle with little oil. 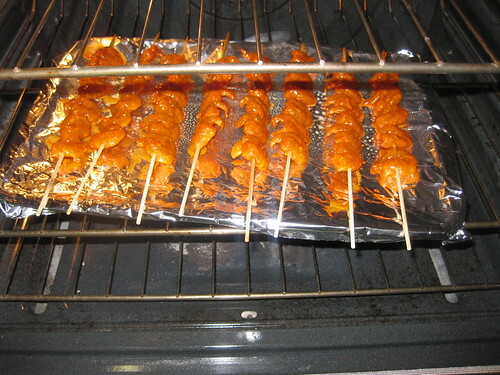 Preheat the oven to 350 degree F.On a foil line baking sheet sprayed lightly with cooking spray.Place skewered shrimp in a single even layer and drizzle very lightly with oil. 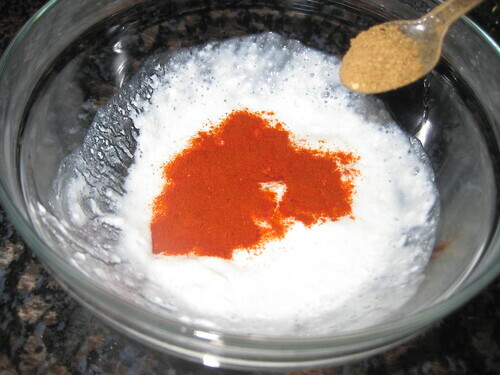 cook for 8 minutes on each side.But you need to remember that shrimp when over cooked,turn hard. 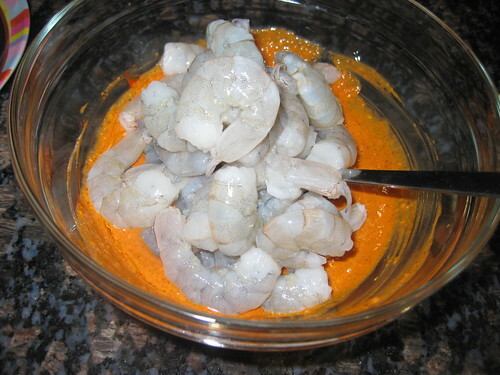 The shrimp should have a dry crust on the outside and still be very moist on the inside. 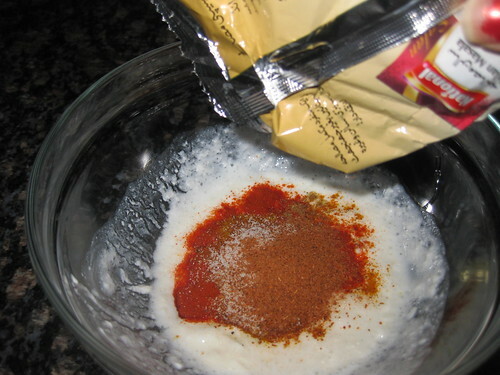 Sprinkle some chaat masala . 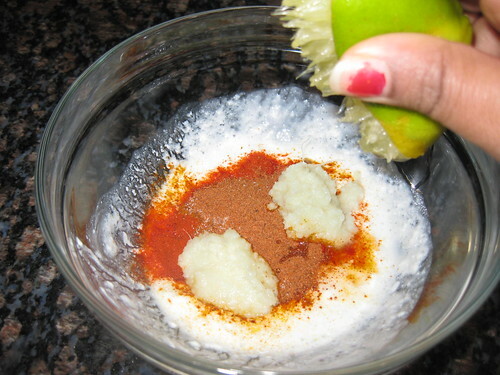 Serve hot with lemon wedge . Drooling over the prawns...Looks very yummy.. 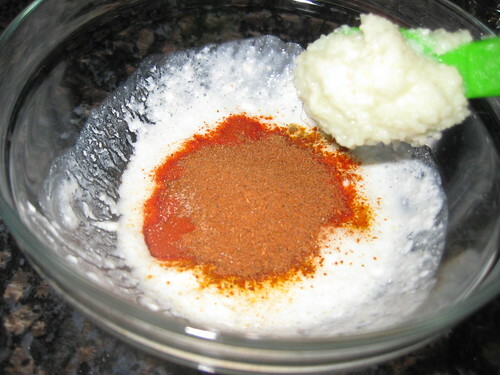 I used to make a varitey of this recipe but yours look more juicy and delish. hope you had a wonderful festive season Divya. Merry Christmas and very happy new year. 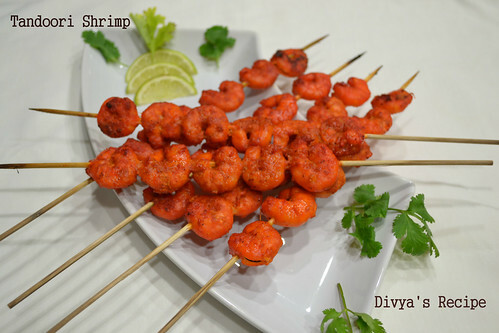 Lovely shrimps Divya...It's very tempting...very delicious. Wonderful seafood dish! Perfect for the bbq! Lovely clicks and very very tempting they are. Prawns tandoori looks really inviting...yummy! 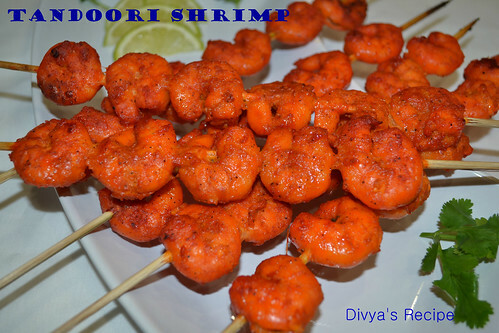 well made divya.. tempting prawns..
Wow flavorful prawns tandoori, presented very well dear!!! wow..they look so very tempting & delicious!! 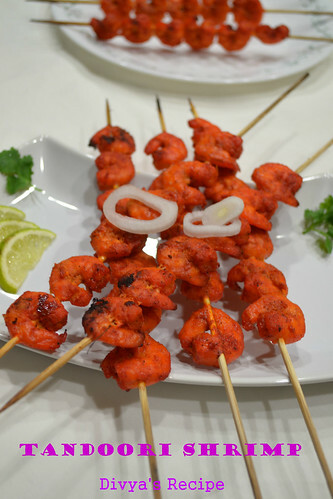 Tempting tandoori and Love the whole presentation.. 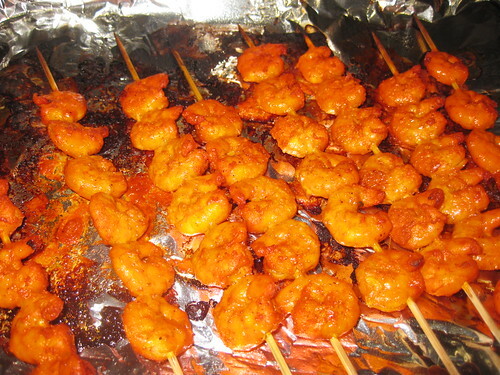 Very catchy and droolworthy shrimp skewers. 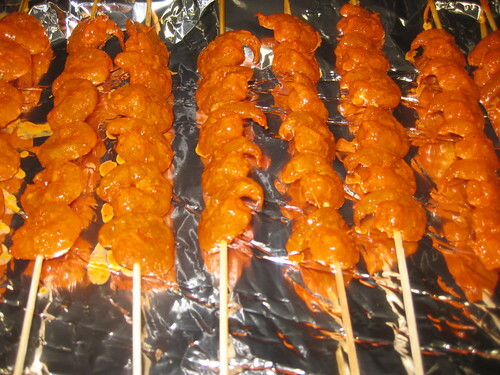 Tandoori shrimp looks delicious. Very nice clicks. 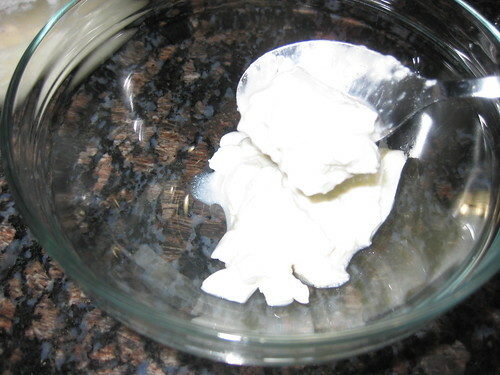 oh, this sound so yummy, wish i can have some right now. Wishing you a Happy New Year 2013. 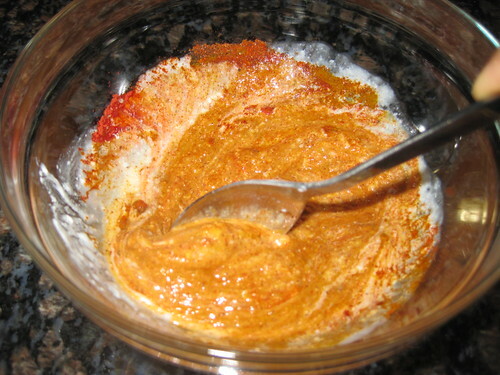 Masala looks spicy & tasty!! 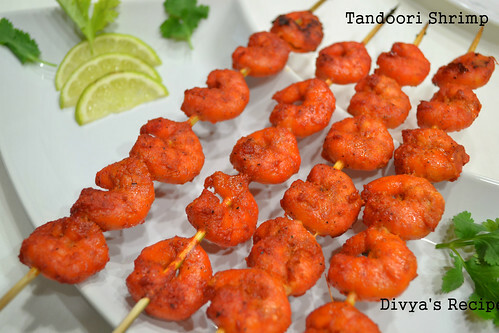 Such juicy tandoori prawns :) would love to have some with onions n green chutney! 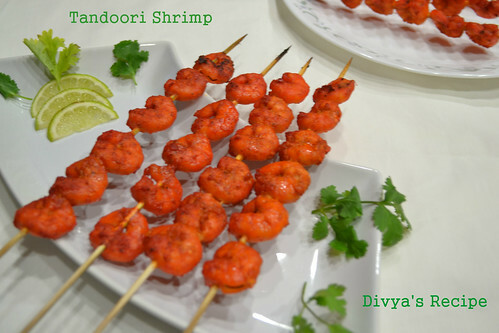 Delicious tandoori prawns.. Looks very tempting.. I always end up salivating whenever I visit your space. This time is no different! And prawns are my favorite--YUM! 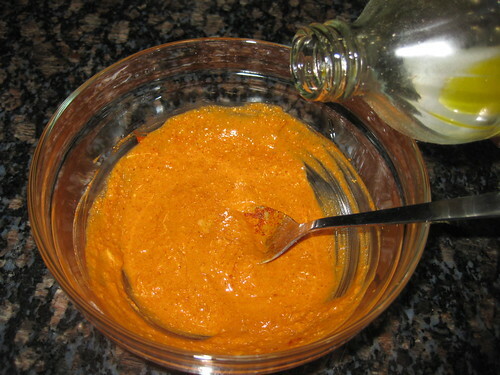 Such a vibrant orange color! I feel like drooling just by looking at it! I used to only like stir fried prawns . Very delicious if you don't over do . This is a another wonderful one for me to try ! It would be great, if we follow each other. 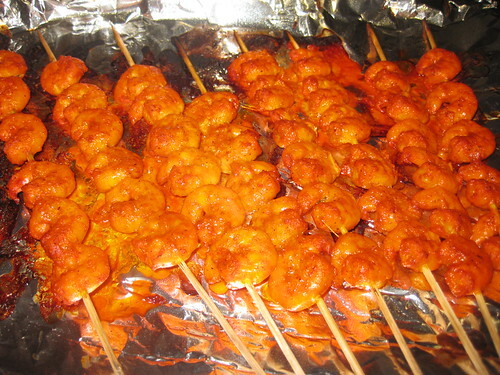 super hot n spicy prawns!! Wishing you & family a very Happy New Year !! Though I am not a Non-veg anymore, your yummy looking prawns are drawing me towards it :D looks fab gal..
And hey Happy new year..
Prawns tandoori looks really inviting! Happy new year. 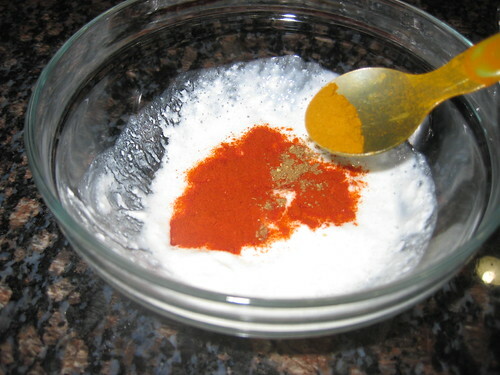 Spicy and yummy shrimp tandoor. 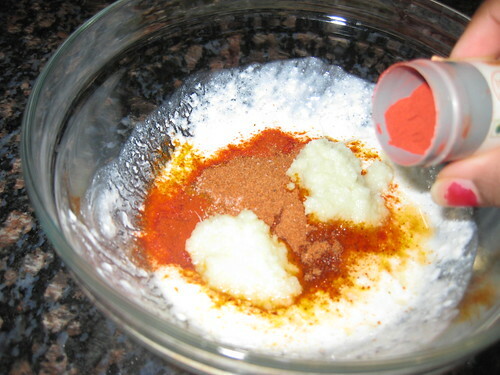 Can I make normal chicken the same way by marinating in this mixture? 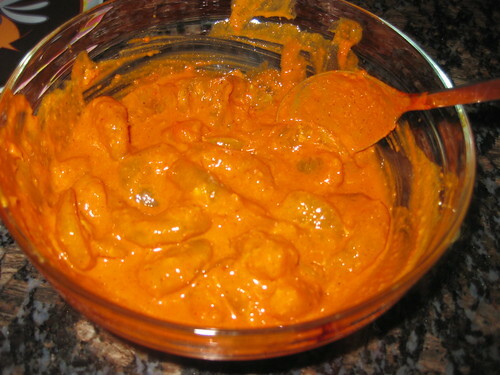 Looking so amazing what a tempting plate its totally yummy prawns...But mam insistent of food color can i use any other ingredients....?